To view additional photos please click on the following link: Bertie County Peanuts Photo Gallery. Photos top to bottom: (1) The old overhead bulk peanut storage bins that were built in 1960. 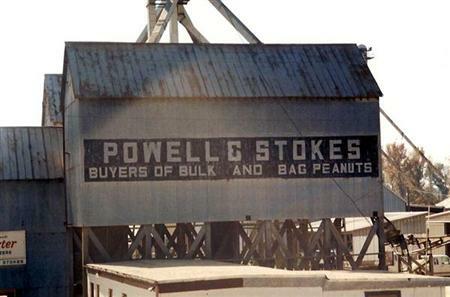 (2) The present Powell & Stokes warehouse opened in 1975. 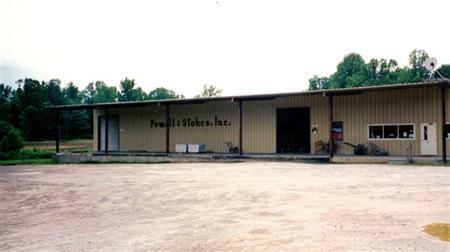 It is located about 1 mile north of Windsor on US Hwy 13 and is the location of our Bertie County Peanuts retail store. (3) These farmers have bags of seed peanuts ready for planting. (4) Better days have long ago passed this barn.